The Bank of Canada opted not to raise its benchmark rate yesterday, holding it at 1.75% amid a sputtering economy and languid real estate market. 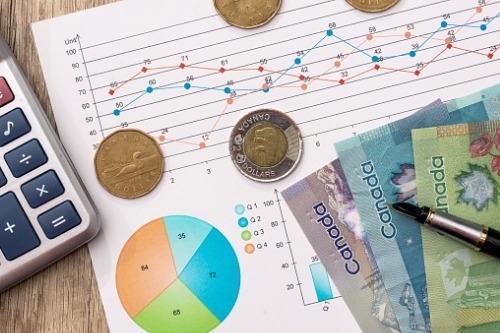 Statistics Canada reported late last week that the country’s economy grew by only 0.1% during the fourth quarter of 2018, slowing the annualized pace to 0.4% and marking a two-and-a-half-year nadir. In light of the report, not to mention a slumping oil and gas sector, few, if anybody, expected a rate hike this week. While it is highly unlikely the Bank of Canada lowers rates, there is a very good chance that it at least holds them until next year. In the interim, there is also opportunity to help first-time homebuyers gain entry into the market, says Laird. “The softening rate outlook will put downward pressure on bond yields, causing fixed rates to drop as we enter the spring homebuying market,” he said. “Variable rate holders should be pleased, as any increase to prime rate will be further in the future than the Bank has signaled in prior rate announcements. Overall this announcement will be helpful to first-time homebuyers looking to enter the housing market this spring." New Democratic Party leader Jagmeet Singh mulled the idea last month of reintroducing the 30-year amortization and McFadyen believes that will be more instrumental in helping first-time buyers than a steady interest rate.